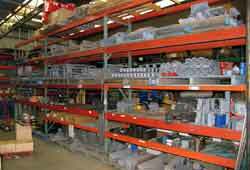 At Elphinstone we pride ourselves on being able to supply the right part at the right time. 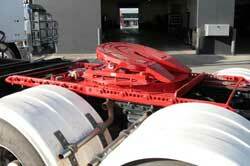 We are happy to have you collect parts from either warehouse or arrange your own freight if that is more convenient. 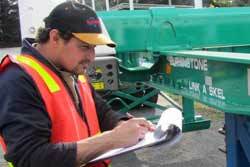 Elphinstone not only supplies spare parts on a quick turn around but our fully equipped workshops and trained staff in Tasmania and Victoria can install them for you if needed. Many of our staff members are long serving employees who know our products and will have you back on the road in no time. All Elphinstone spare parts go through rigorous quality control to ensure that it has been manufactured to our high standards. We know what our customers expect in quality products and we pride ourselves on our ability to produce outstanding products. 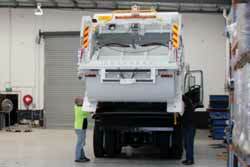 After all we have been doing it for more than 30 years now so we know what our customers expect. At Elphinstone we are always striving for the improvement. Our team constantly evaluates our products and researches product development. The changes might only be subtle but they ensure that our valued customers receive the best possible product for the job they are doing. 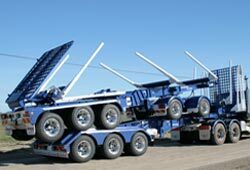 From knowledge gained over many years, Elphinstone decided to design and build their own winches that addressed the operational difficulties that were occurring with existing equipment in the field. 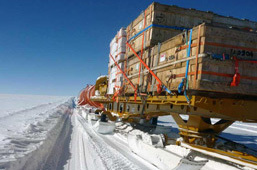 As well as ease of operation and maintenance, the need for more pre-tension was paramount in the design. 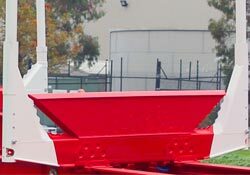 Our load binders, whether manual or hydraulic automatic tensioners are safe, strong and made in Australia for Australian Conditions. Call one of our friendly sales people for information or to order. 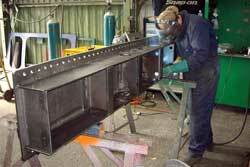 Elphinstone have produced a durable lightweight slider that is easy to manufacture and requires low maintenance. There had been no major design changes in this product since 1985 but in 2005 Elphinstone took on the challenge of producing a new design that would be simpler to manufacture and streamline the assembly process. 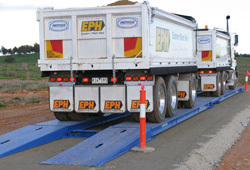 The Elphinstone slider continues to be a sought after product in the transport industry for its reliability and ease of operation. Elphinstone make a range of bolsters in both RHS 6mm and pressed 5mm for skel trailers as well as an 8mm Banana Bolster and a Quick Release both of which suit jinkers. 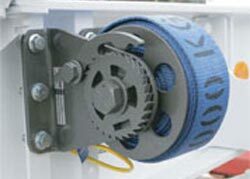 RHS bolsters have a multi-fit clamp kit that suits various flange widths and thicknesses. Pressed bolsters suit 150mm flanges at 910mm apart (centres). 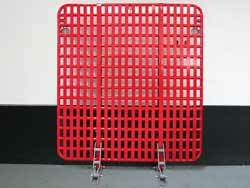 Different flange sizes and beam centres are available. 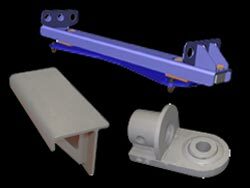 Elphinstone manufacture extensive mounting systems to suit many applications making it very straight forward to install our weighing systems. We build standardised mouting systems for body and trailer manufacturers as well as customised mounting systems for specific industries.